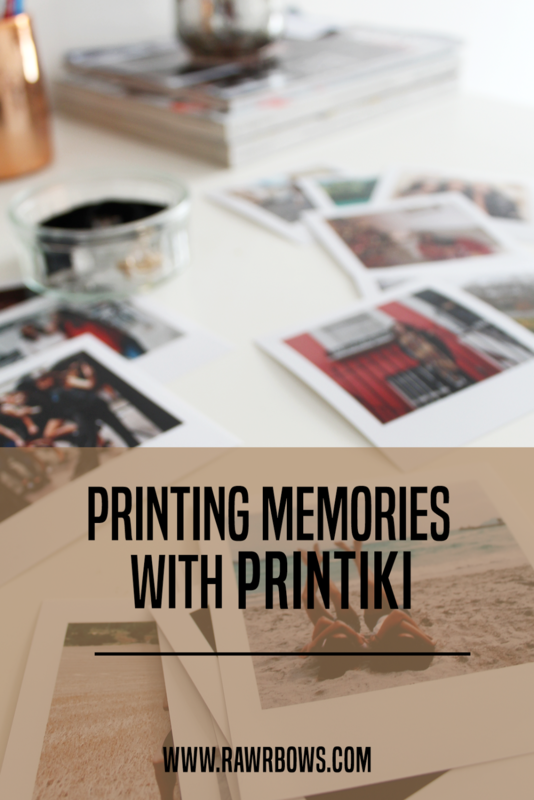 PRINTING MEMORIES WITH PRINTIKI | RAWR BOWS. I am a hoarder of memories, I love taking photos of literally everything and I love looking back at all those moments and relive them in my head. As much as I enjoy going on my photo library on my phone and scroll back all the way to 2009 where I looked like a too cool for school teenager, there is something about physical photos. It's like you're holding a piece of your life in your own hands. Not only that, but seeing just one photo capturing the moment instead of 50 slightly different ones makes it a bit more noteworthy and unique. So when Printiki kindly offered to send me some photos of my choice I was thrilled. They offer a range of products to showcase your favourite memories - photo albums, posters and prints. I decided to go for the Matte Retro Square M style, which are Polaroid style and you can even add some writing at the bottoms in beautiful handwriting. I opted out this option because I already had some Polaroids in my room and wanted them to match. The whole process is super easy, just go on their website and choose where you want to get your photos from - you computer, Instagram, Facebook, Google Photos, One Drive or Photobox. Then you can go through every photo and zoom in or out or adjust it so that it looks per-fect! 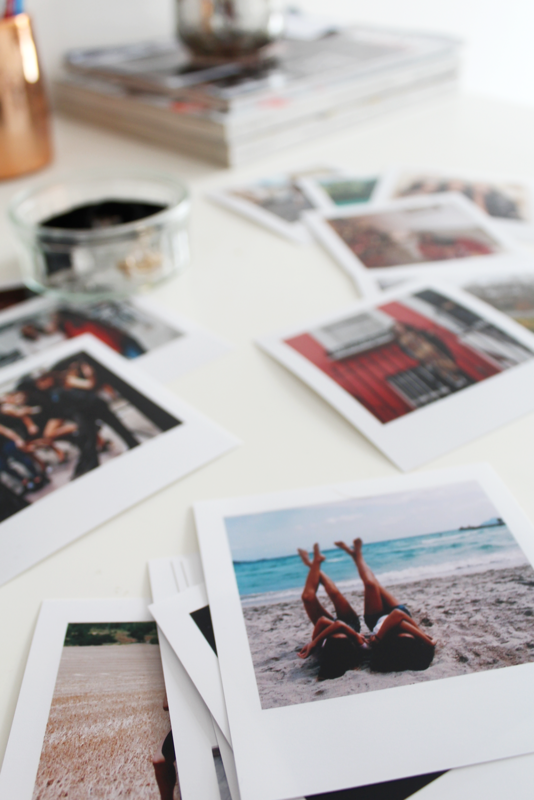 It's only £5.50 for 20 prints which is rather cheap for good quality Polaroid style photos. 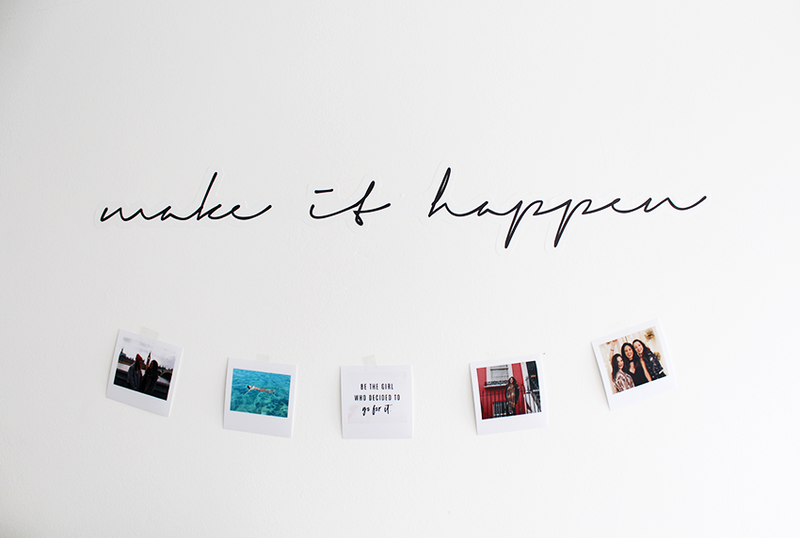 I personally love to put them on my wall as a decoration, it adds a personal touch to my room and looking at them always makes me happy and reminds me of some of my favourite memories. And to make it even better, if you use the following code: SFQX2MK9 you get free shipping!